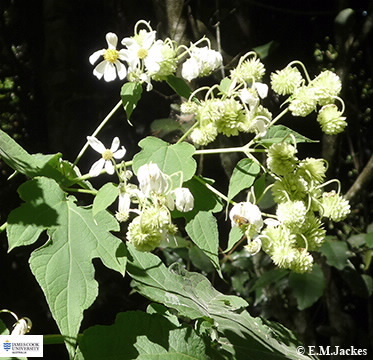 A much branched shrub to about 3 m tall, leaves opposite deeply lobed, hairy, to 45 cm long and 30 cm wide. The daisy-like flowers forms large clusters, rays white with disk flowers in the centre yellow. 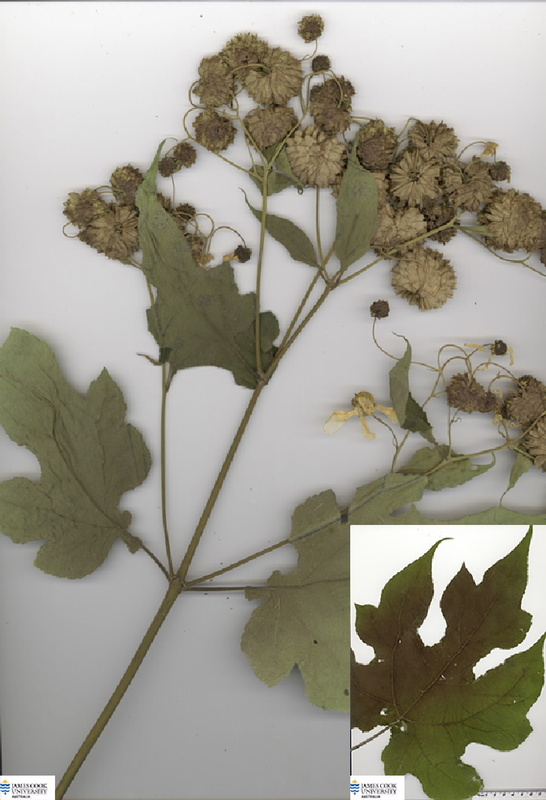 The seeds or achenes to 2.5 cm long, dark-brown at maturity. Common along some roadsides near Lake Barrine, North Queensland.